I know I'm not the only one who enjoys glamming it up for TCMFF. I wanted to share some of my favorite shops and businesses that help me get dolled up for the big weekend. If some of you want to join in, but don't know where to begin, maybe this list will be helpful. If you can't tell by the seven inches of tresses mounded on my noggin, hair is very important to me. When I watch classic films, I LOVE that every woman's hair is always beautifully done. It is also something I notice NOT being done on the red carpet in modern times and it drives me NUTS. (Like...1. They paid someone to have a style I can achieve after a rough night in WeHo and 8 hours of sleep, 2. Their crap hair does not match the BALLGOWN they are wearing...it makes me furious.) I have my cosmetologist license and typically do my own hair (color/style) by myself. Except for during TCM. The only person I trust with my hair is Miss Rockabilly Ruby. Since I already have my appointment for this year set in stone, I don't mind revealing her as my secret. Her styles will last you the entire festival weekend (mine did both times) so you get maximum bang for your buck, plus you will feel and LOOK like a real movie star. Before I had her do my hair, I took a class she offers and learned a lot....and like I said, I have my license, so it's a crash course of knowledge for the average person. Pro tip: This is the best hairspray known to man. I will literally pay to check a bag on an airplane, just so I can travel with it. I'm not even kidding. I know that makeup can be overwhelming for some. If you can't get your makeup done for the festival, Youtube is your best friend. You can find a tutorial for any look and any era. Honestly, I watch a lot of drag queen makeup tutorials because if a man can turn himself into Liza....he can teach me a few tricks! And PRACTICE!!! I used to suuuuuck at doing a wing eyeliner. Now it's like, my signature look and I can crank out both eyes in under five minutes. So, buy some makeup wipes and do it over and over again and you will get it handled by April 26...if you start now. If you DO want someone to pretty up that mug, I highly recommend Erika Reno. She has EVERYTHING in her kit and she's pals with Miss Ruby, so you can get everything done in one location. Pro Tip: Keep mascara in your purse. You know you're gonna be a hot mess after watching Kramer V. Kramer. If you have a blog or just want maximum likes on your Instagram, bring some wardrobe changes and vogue it up!! I have found that most authentic vintage pieces are small as hell. Most of them have a 26-inch waist. What that says to me is, our grandmothers were starving and lived off cigarettes and coffee. 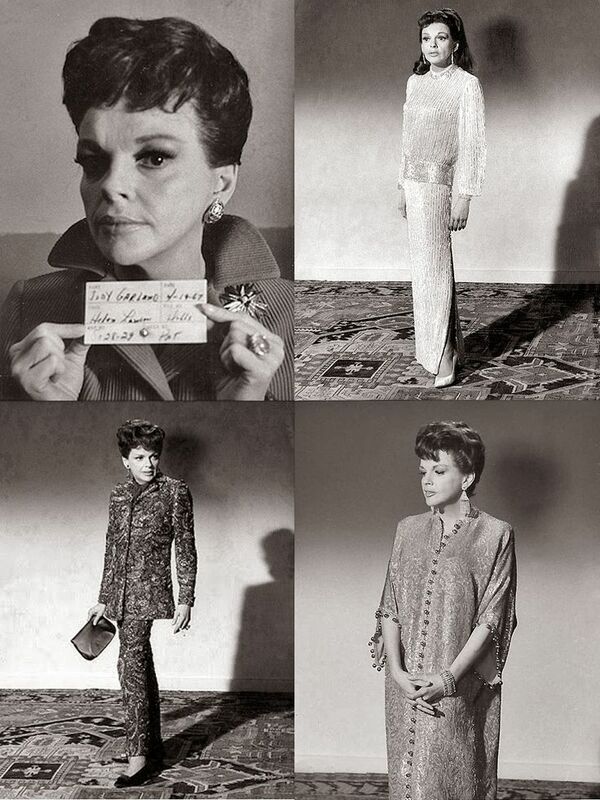 I don't want to remove any ribs to fit into clothes and they don't make Benzedrine anymore, so I can't pull a Judy.... therefore, I wear caftans and mid-century threads. I find most of my stuff on eBay or Etsy, but hit up your local vintage stores and most of the clothes there are cheaper and just as good. If you buy online, know your measurements because a size 14 in 1968, will fit a 12-year-old in 2018. As I said, most vintage pieces are made for malnourished women, so if you eat more than one meal a day, there are a few companies that make vintage inspired clothing to fit the modern woman. Pin Up Girl Boutique and Unique Vintage are both located in Burbank, so you can purchase online or, if you're coming into town a day before the festival starts, stop in. Magnolia Blvd. in Burbank is practically all vintage shops and you can stop by Forrest Lawn Cemetery and visit Bette Davis! Pro tip: Wear underwear that looks like shorts. You don't need any chaffed thighs if you are walking around in skirts all weekend. You're ready for your close up!! Take tons of photos so that when you're old and wrinkled, you can have proof that you looked great...at least for one weekend! Pro Tip: Download the app 8MM if you want to take videos with different kinds of vintage filters. Now have a cocktail, listen to this song and do some drunk online vintage shopping!